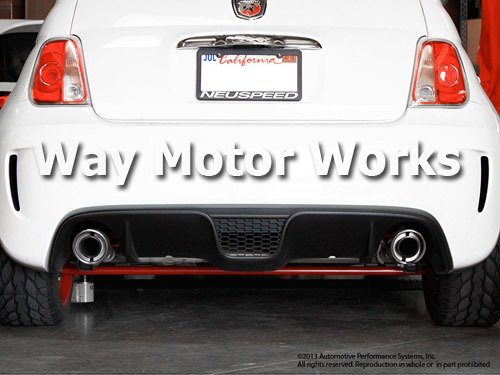 Neuf Fiat Abarth Rear Torsion Bar or Sway Bar. 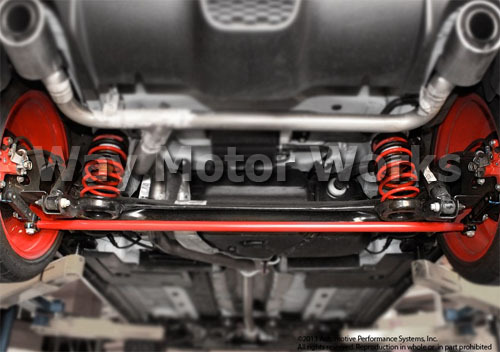 The Fiat 500 turbo/Abarth's rear suspension does not have a common 'sway bar' because, technically, no part of it is connected to the subframe. We call this a torsion bar because it works by countering any twisting motion on Fiat's rear axle beam (and not independent) suspension. 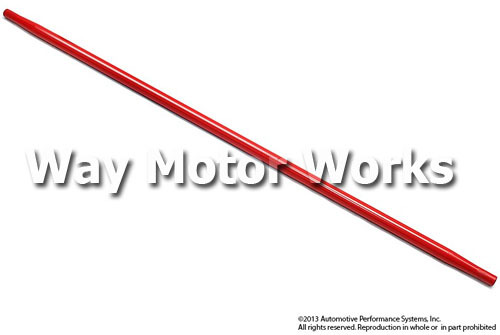 But many people will still commonly call this a rear sway bar. The Neu-F 28mm rear torsion bar is the perfect upgrade from the original 22mm stock diameter bar. The diameter has enough size jump to actually make a difference and keep the back-end flat. This will essentially help to reduce under steer by inducing more over steer. If you drive your Turbo Fiat as it meant to be driven, then you need this bar to take the handling to the next level in the most cost effective way. Featuring red powder coated aerospace grade steel material with remarkable shape memory, and knurled ends for solid mounting. Comes as a single rear torsion bar as seen in pic.